Padraic Gearty was involved in many associations, organisations and clubs in Longford. He attended St Mel’s College and studied law in UCD, graduating with BA and LLB degrees before qualifying as a solicitor in 1957. He was a talented sportsman. His first love was the GAA and he won a Leinster Senior medal in 1951 with St Mel's. He played Sigerson Cup football for UCD and was chosen to play on the combined universities team. On the Leinster team in 1962, he scored the first ever televised point on live television when Telefís Éireann covered the Railway Cup final. 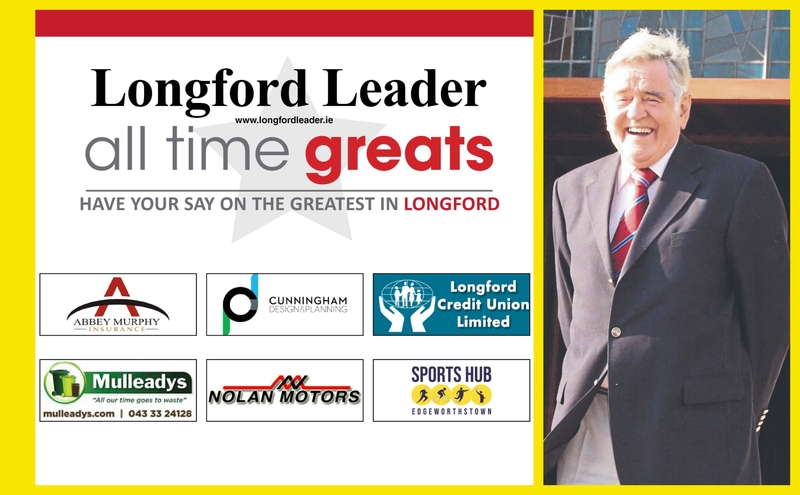 He played soccer for Longford Wanderers, was a founding member of Longford Badminton Club, and a key figure in both Longford Tennis Club and Co Longford Golf Club.